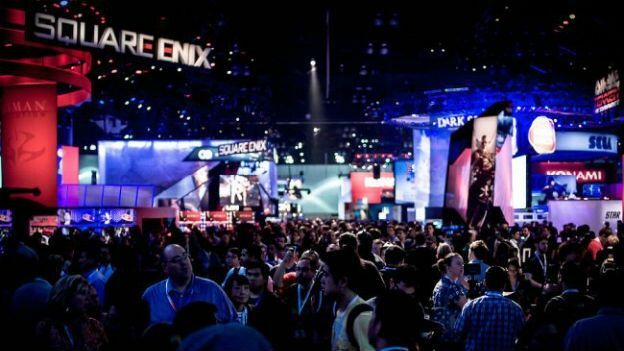 There have been few more exciting days in E3's history as Microsoft and Sony duking it out over a table of next-gen joypads and used-game boxes before the LA Convention Center had even opened its doors. If whooping was the currency that success was measured in, PlayStation's future is golden. The morning after the day before, there is an understandable euphoria in the air for Sony as it wisely and somewhat unexpectedly took a shovel to the gaming public's laundry list of complaints about the Xbox One – the PS4 won't need to check in online every 24 hours and the second-hand games market is fine and dandy. It also, as T3 had gleamed from a variety of sources prior to the announcement, undercut Microsoft's machine by a whopping £80. For what is reportedly a more powerful machine, that is a hefty chunk of change to have to up-sell someone in a troubled market. Yet it would be hasty to write Microsoft off just yet, before a game has been played in earnest. Just as everyone seemed to magically forget the huge public backlash against Sony not showing a console at its PS4 announcement in February as soon as Xbox One and Kinect's beady eyes homed into view, so too are some already forgetting the Xbox morning conference. Sure, it seems like a lifetime ago, but was only hours before, and there was plenty of whooping there, too. The general consensus, till that £429 price tag turned up and ruined the party, was that Xbox had been good to its word: exclusive games, indie games, games with added content, a thorough explanation of how GameDVR, Twitch streaming and SmartGlass worked, and importantly no direct references to the divisive Kinect or live TV angles. Yet such is the mood in gaming at the moment that Microsoft could announce the Xbox One was free and people would moan about the delivery charge, so it was unsurprising that the hefty price tag – a copy of T3 magazine more than the PS3's much-lambasted debut – would cause a fuss, as would the lack of clarification on those, shall we say, "sensitive" issues. That's before we even get on to the Doritos/Mountain Dew promotional flyers on every seat in the Galen Center. Yet to be honest, going on the games shown at the events alone, the big titles that screamed out to us "must play" were either multi-platform (The Crew, Watch Dogs, Metal Gear Solid V) or Xbox exclusives (Titanfall, Below, D4, Sunset Overdrive, Plants vs Zombies: Garden Warfare). And the truth is, before the extraordinary rally of the latter stages of the PlayStation conference, it was going, well, a bit badly. A painfully stuttering and buggy Assassin's Creed IV PS4 demo – we really felt bad for all concerned – is now long forgotten, despite everyone calling out Microsoft for the same on Battlefield 4. An over-focus on PS3 and an under-focus on PS Vita made for a slow start and, partly because PlayStation focused so heavily on games in the New York reveal, there really wasn't much new stuff. There was also the case of the slipping in of a PS Plus subscription now being required for online multiplayer amid the noise, a move that brings it in line with Xbox Live but a setup that Sony fans have long derided. It doesn't bother us, and PS Plus is proving to be well worth the fee just on the free games it chucks at you, but still: perspective. In turn, we may have heard the words "persistent online worlds" more than we thought possible in a single day, but that is across both platforms. In reality, as ever, the two consoles from these companies share a lot of common ground, yet it's the ethos, or at least the perceived ethos, of the companies behind them that is coming to define them. The truth is it's ridiculously easy to get onboard with PlayStation nowadays. Andrew House makes for a likeable CEO, while president Jack Tretton's direct statements on the issue of the day were manna to those used to suits ducking questions and obfuscating. Then there's head of game studios Shuhei Yoshida, who truly is a Nintendo president in wolf's clothing, championing indie developers, making fan-pleasing videos poking light fun at rivals and even taking to Twitter after the event to clear up any issues that fans weren't clear on. His increasing prominence in PlayStation's business is almost in direct proportion with their rising status of getting their mojo back. As is the courting of smaller developers, with PlayStation actively promoting self-publishing on PS4, putting a large portion of the event aside to showcase a raft of titles that only a few years ago would have been XBLA exclusives. With hundreds of game creators flocking to the system, yet importantly bigger third parties such as Ubisoft, Activision and EA still supporting it as it has the power under the hood, too, it doesn't only appear a vibrant platform, but an ethical one. Which brings us back to Microsoft, Kinect's prying, PRISM-tainted gaze and that £80 difference. There's still five months to go till these consoles are set to wage proper war on the shelves, not a virtual battle in the hearts and minds of games journalists and forum dwellers. Xbox is undoubtedly playing catch-up now in terms of reputation, but things can change, and you write a company of that size off at your peril. Gamers are a small pool of the overall market they're aiming for, after all. But right now, Sony is the people's champion, if only because they've shown that what gamers actually want from their systems is still important and can wield power when it comes to strategy and delivery. Amid the wider PlayStation euphoria, it's important to remember that.